The SCT-50 is an "industrial" character generator that operates either stand alone or with a computer to title, caption, or time-date stamp SD NTSC RS-170A/PAL 625/50 analog composite video from cameras, VCRs, computers, etc. Insert up to 9 lines of 20 characters each into a video image to add source ID, show camera number and location for security, video data collection, or other video monitoring systems. Internal clock calendar can add time and date stamp to video images. 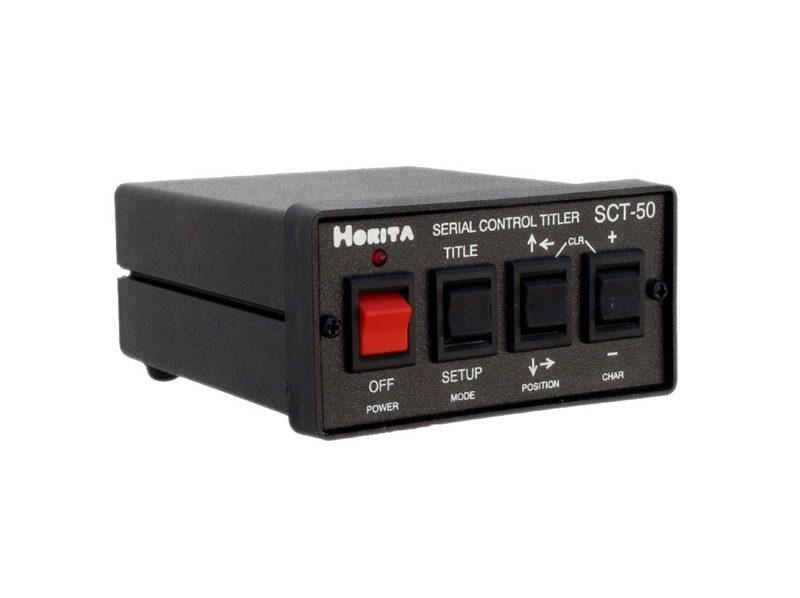 Includes the Horita "GMAN" Windows based text editor/ control software to automate stand alone operation of single or multiple SCT-50 titlers, operate video information displays, add instructional information or subtitling, log and document experiments, etc. "GMAN" controls from 1 to 99 individual SCT-50s using only a single RS-232 comm port on your PC. Up to 100 pages of text can be individually sent to a specific SCT-50 or group SCT-50 titlers. Additional "GMAN" effects and features include timed on/off text display, random text movement, and sequenced and/ or looping pages of text output. Front panel switch control for stand alone operation or simple commands from computer for character selection, location, background, flashing, black/white, H and V size and position, etc. Display serial input as ASCII text or as HEX codes. Five setup screens including a help screen simplify setting up SCT-50 operation. 36 time and 60 date display formats are available. Unique continuously variable "split screen" mode allows character placement anywhere on the screen, or out of the action on letterbox type displays. 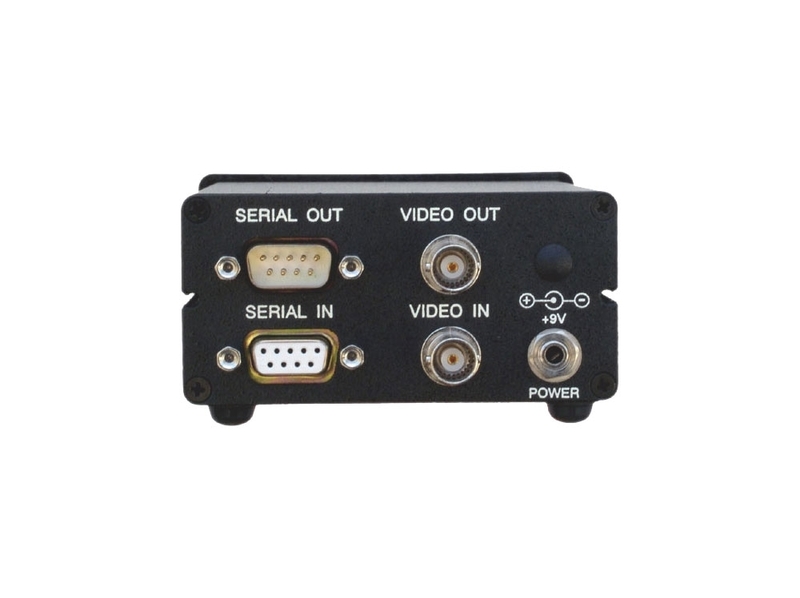 Standard DB-9 connectors for serial port with RS-232 loop-thru operation allows up to 99 units to be daisy chained together and individually or group addressed by PC. "Auto" line numbering aids in placing text on screen. Two independent sets of "setup" memory pages permit instant switching of SCT-50 operation to an entirely different setup condition.